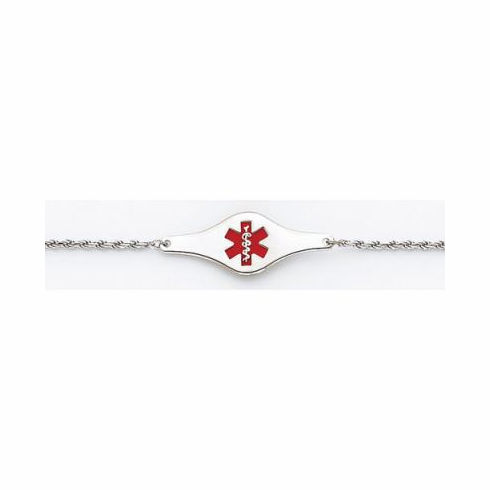 6 inch length rope bracelet with medical ID plate. Weighs 2.9 grams of .925 sterling silver. The medical id emblem is on the front center of the plate. The back of the plate may be engraved. The bracelet is secured with a lobster claw clasp. The extra cost of engraving is $10.00 for up to 4 words. 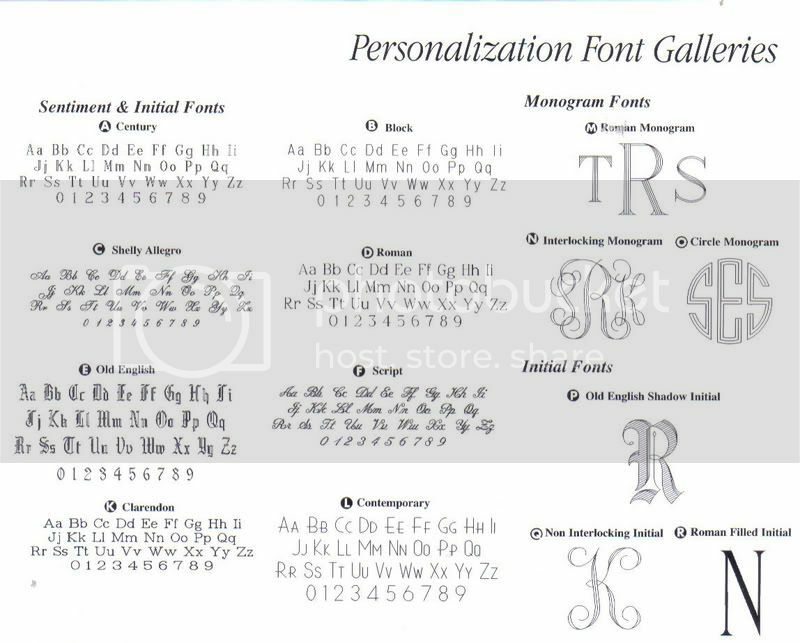 When ordering please choose a font style below and indicate the words you want to have engraved in the comment section of your order form.